I am sure I am not the only one who has had a similar experience – none of us could foresee the future 🙂 and there are so many collectors out there! Anyway, here is my list of things I would not be happy about losing. These robes – I hate now. With a passion. I remember running MC almost every Sunday for just under 10 months, each week I would spend 6 hours in there and each week I was in the raid the Arcanist Robes would not drop from Golemagg. The weeks I got sat out, sure as hell the robes would drop and they would be thrown out because no one else in the raid needed them. In the end, I never ever saw them drop, not once. Now that i can run MC on my own, I think I have seen them drop every time I kill Golemagg. I had about 5 of them in the bank until recently because I was just so amused annoyed by it. My extras which I would be upset about but it wouldn’t kill me :p like the above three likely would! I know not strictly something people would sell on me if hacked, but I would be devastated if I logged in and they were all gone..I have spent so long with my reputations and farming and collecting, I would be completely destroyed if they were lost. So have a look at some of the other posts this week, we had a massive amount of people get into this one!! 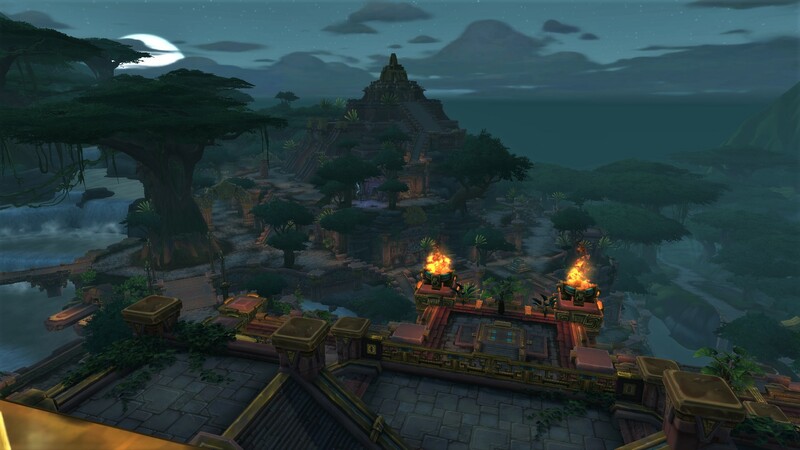 Drop past Blog Azeroth and suggest some topics!! I know what you mean about not keeping your old sets. 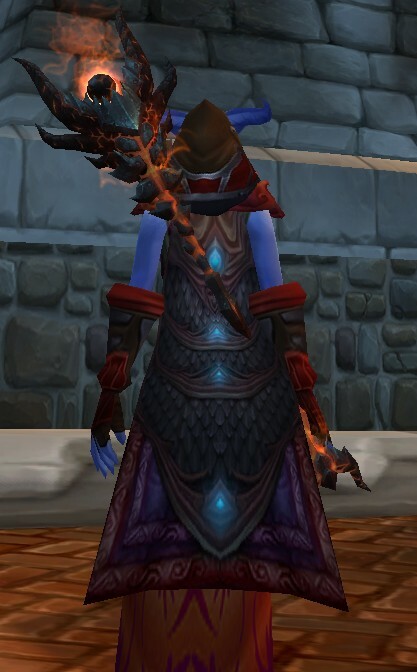 I would need a whole other Void for all those pieces though 😛 The tabards I only keep if they’re unique and can’t be re-bought from the vendor. That candle is great. Is it a quest reward? Yeah I decided to start doing the achievements for doing all the quests in an area…since they were redone for the old world…I started with Westfall, and you help out some kobolds 🙂 I was pretty stoked about it to be honest!! It’s fairly early on in the questing as well. Hah, I have that candle lying around somewhere as well, had forgotten about it until I saw your screen shot. That’s a whole lot of tabards! 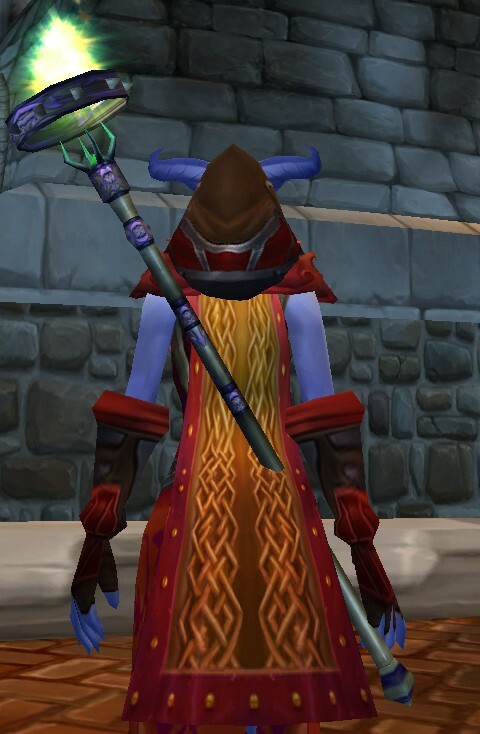 All those tabards is why I would live a closet or drop down for them…I suppose I could put them in storage void….but it just seems wrong to pay when I want to change them out. I do love my tabard collection 🙂 I can’t bring myself to get rid of them though! No idea on the Alliance only thing, it is a quest in westfall, but it is at one of the farms, near the mine..maybe they have a horde equivalent? We ever so desperately need a “tabard closet.” Blizzard should just make it a slot in your bank tab and call it a day. I mean, I don’t have nearly as many as you do but I can still appreciate the absurd amount of bag space they take up. Previous PostPrevious It’s raining mounts…and pets…hallelujah it’s raining mounts! Next PostNext Holy Cow…we actually raided last night.